UPDATE: Check out my Expedit Hack here and take a look at my second round-up, this time of Expedit Hacks, right here. 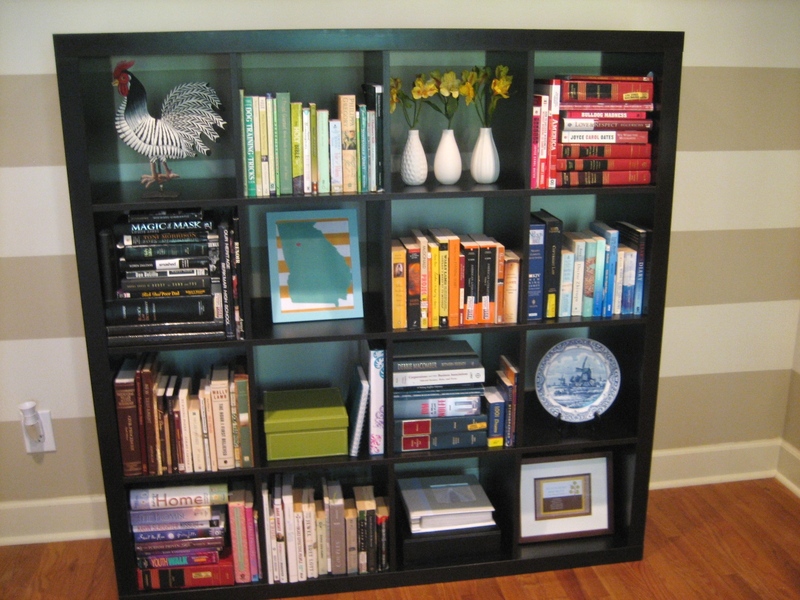 I love our expedit bookcase. So much so that I quickly abandoned the idea of replacing it, even with an amazing, vintage teak modular unit, when we were considering options for Hubby’s desk. 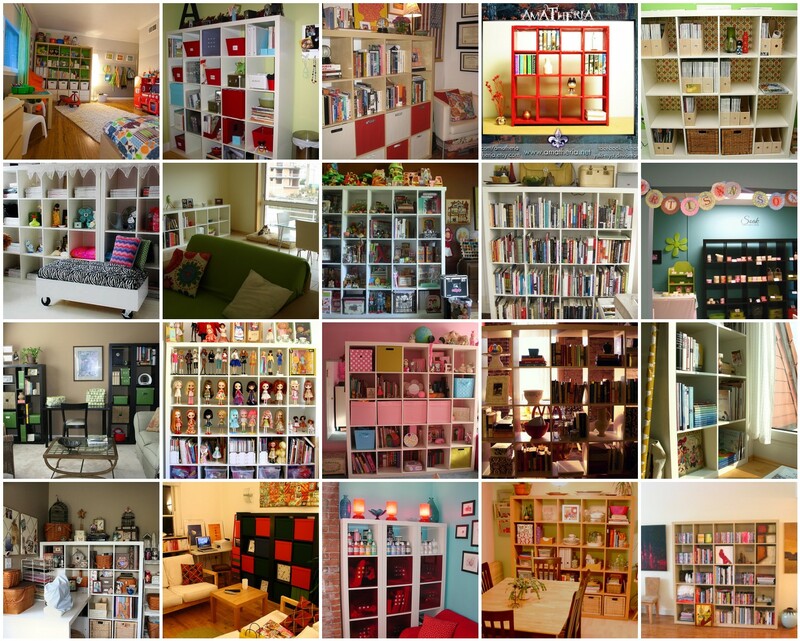 I have actually owned four expedit bookcases! Two were left at my parents’ when I moved out because they fit the awkward space under the slanted roof on the top floor perfectly. The fourth resides in our basement. 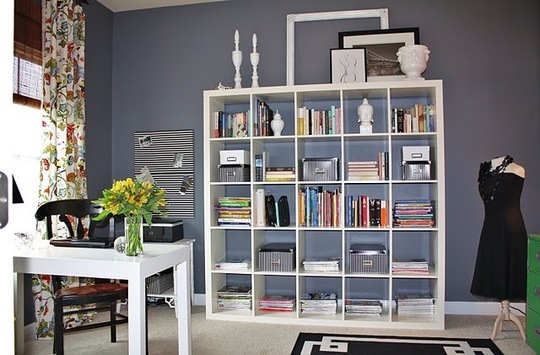 I love that the expedit never warps and makes organizing books by theme, or by colour, a cinch – plus the little cubbies are great for adding decorative items. With ideas for Hubby’s desk still in the works, but a replacement for the expedit definitely off the table, I thought I’d pay tribute with a post dedicated to some nicely curated expedits. Such a cool idea, right? Previous Post Suggestions for Framimg Oddly Sized Art? Who knew cubbies could be so fun?! Jenn and Joe have a dark Expedit like yours, with some of the red boxes and white door inserts. They're using it to divide the sleeping area from the living area of their temporary space. Holden and I use the open cubbies for playing peek-a-boo. :)Do you have room for the small Expedit unit with the attached desk for the hubs so he can have his own cubbies…or is that too much of a good thing? 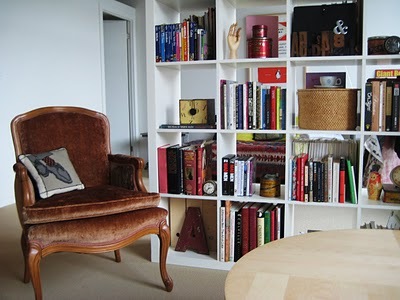 These bookcases are the most versatile thing really. I love the Design Manifest version as well as Cameron McNeil's clever solution. Glad to have stumbled across your blog!!! Expedit Love! I guess I've been living in the dark ages because I had no idea what an Expedit was. 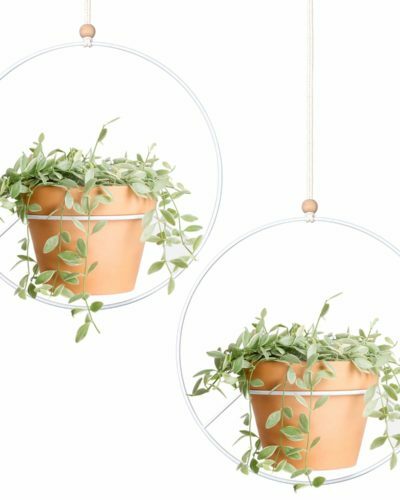 These will definitely go into the planning stages of our new home. 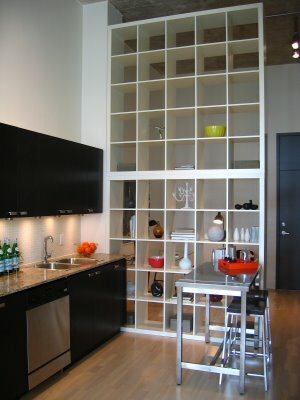 They would look great as built-ins but way more affordable. Are the cubbies large enough for record albums? Thanks so much for the great idea. haha! It's so generous of you to share the basement ones. Midcentury Madam: the inside of each cubby is about 13" (or 33 cm). And the expedit comes in different sizes (in terms of overall height and width) too.Dana: I am nothing if not generous. Lol. How many interesting ideas! Thank you!